The opportunity to make visible the undeniable has always fascinated us. The ability to see what lies behind or inside objects, to make frequencies beyond visible spectrum visible, to translate sounds into images, have always been a driving force for man to develop new technologies. Whenever one of these technologies makes visible what was previously unnoticeable, man opens a frontier to a new world to observe, study. 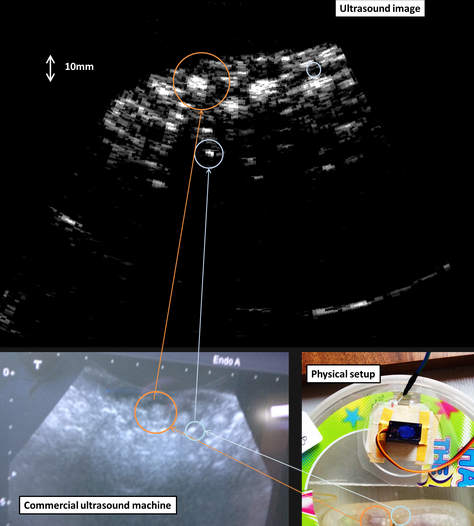 One of these technologies is ultrasound imaging. This technology has recently found space in many applications, especially the medical one. 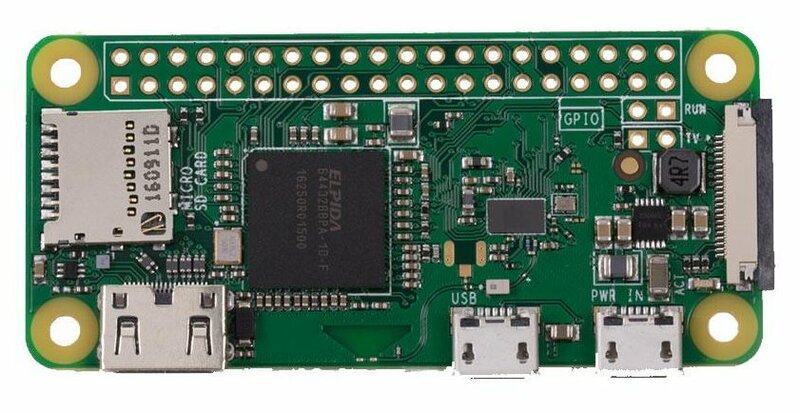 In this article we will see how some makers are trying out new projects to make this technology reachable by using low-cost and opensource materials. One of these is the Murgen project. 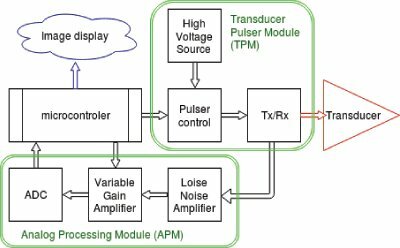 The ultrasound frequencies used for medical applications cover a range of 2 to 15 MHz. 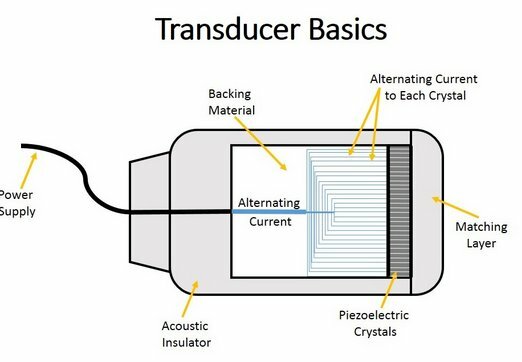 The ultrasound signal is produced by the oscillation of numerous crystals enclosed within a transducer. These crystals are stimulated by electric pulses by piezoelectric effect and high frequency vibration produce, ultimately, ultrasounds. The purpose of these ultrasounds is to generate a return echo that is recorded by the transducer and converted to electrical signals. The analog electrical signals will then be converted into images. Now this may seem simple, but in reality all technology is based on the physical interpretation of these return signals. In fact, electrical signals will have to be converted into distances occupied by objects in space. The ultrasound material will react differently providing a different echo (signal) depending on the density distribution inside it. 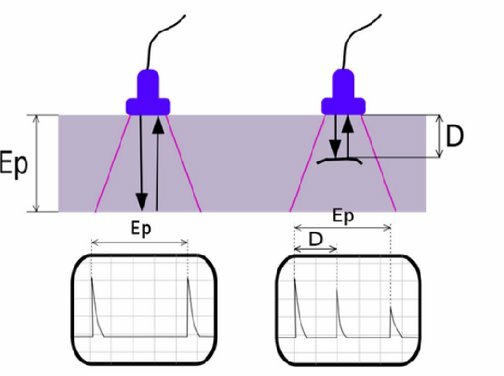 The duration (Ep) of the pulse determines the longitudinal resolution, while the frequency of the ultrasound determines the degree of penetration of the ultrasounds within the object (depending on the density). The technique of converting a signal into an image is called enveloping. 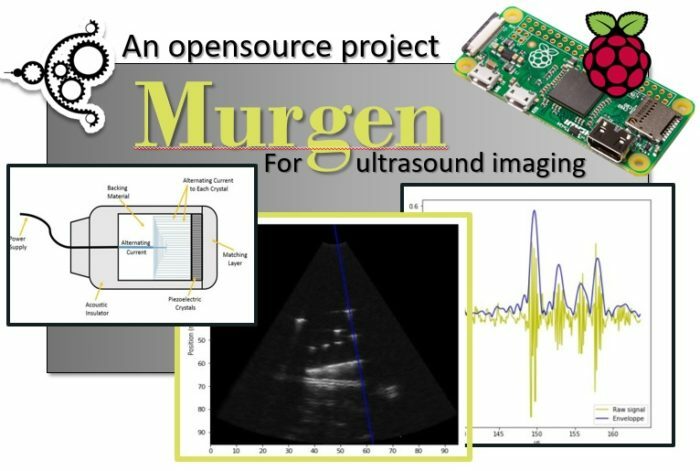 The Murgen project, on Hackaday.io, aims to develop a development kit for the acquisition and generation of ultrasound images using low-cost and open source material. 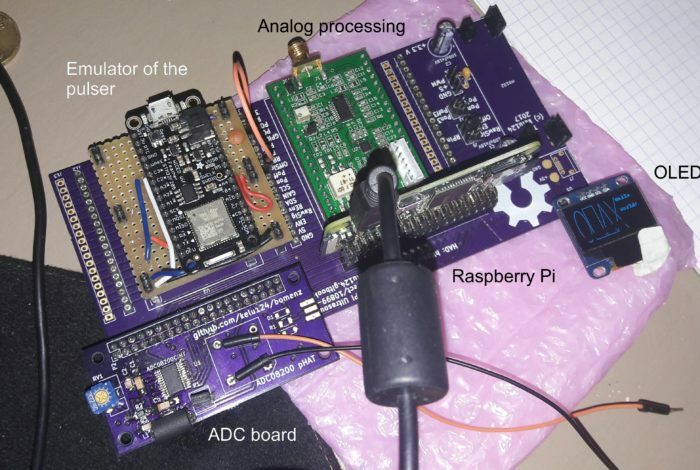 Developed by kelul24, this project is already operative, and many other makers are joining the project to collaborate. At present, the project has completed its first phase of implementation already giving some results. The image below shows the comparison between an image obtained with the Murgen kit with one obtained from professional material on the market. But let’s see the Murgen project in more detail. One of the most intense aspects is its highly modular approach. The use of different modules allows others to focus on a single module and make the best ones without compromising the implementation of the project. Now you can see some of the modules used for building this project. As ultrasound transductor the ATL3 probe has been chosen. 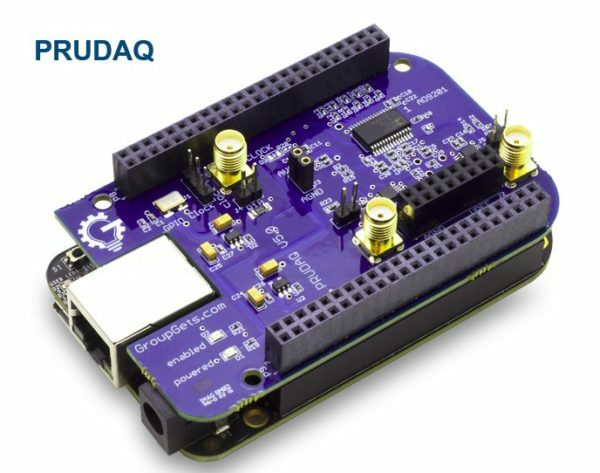 Regarding the data acquisition module, the project used PRUDAQ, an opensource shield to be applied to a BeagleBone Black board. This shield allows the rapid acquisition of data (40 Mbps). 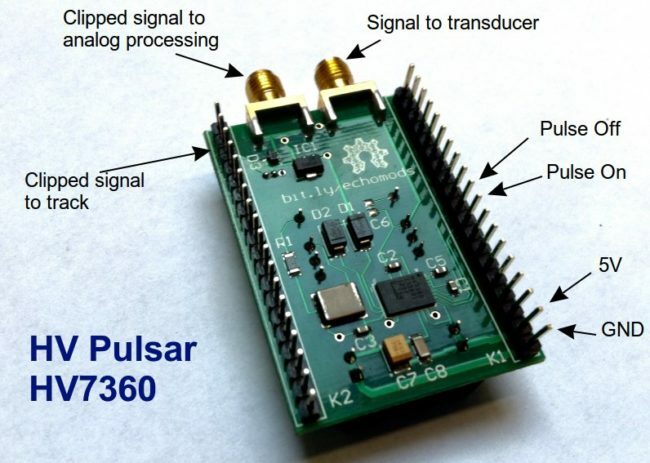 Processing of analog data (signals) from the transducer is performed by Goblin. 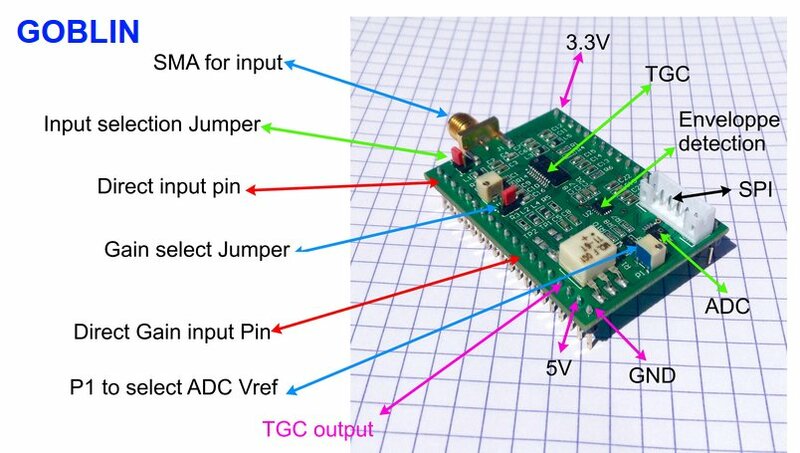 This opensource board acts as a TGC-Envelop-ADC module. On the board picture below you can see the three different chips performing the three function. A Raspberry Pi Zero is used as the main control module in the project. However, if you want to know more, here is the page with all the modules involved in the project. In this article you have seen a quick overview on the technique of ultrasound images. 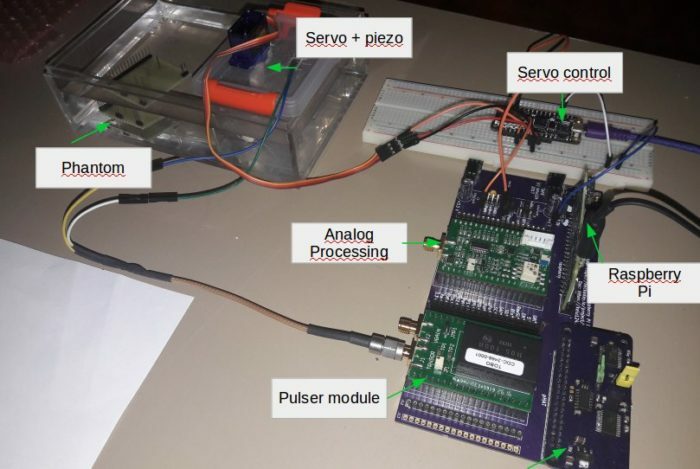 You have also seen one of the examples of early open source approaches: the Murgen project. 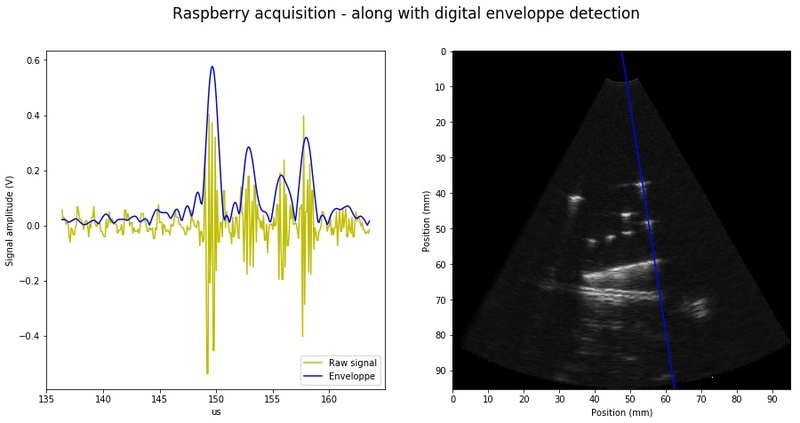 This is a project with the aim of creating a development kit for the acquisition and analysis of ultrasound images.